Adobe Creative Cloud is the cornerstone of any creative person’s digital toolkit. It’s powerful, versatile, and the gold standard in professional design software. It’s also extremely confusing for first-timers. If you’ve just purchased your Creative Cloud membership, you may be feeling overwhelmed by the reality of the possibilities. And while Adobe does offer some guidance through their website and within individual apps, it may not be enough for everyone. Rather than Googling your way through each question or problem as you face it, check out some of the best Adobe CC learning resources for beginners below – and gain the expertise you need to start creating within days. Here’s the info you need, straight from the source. 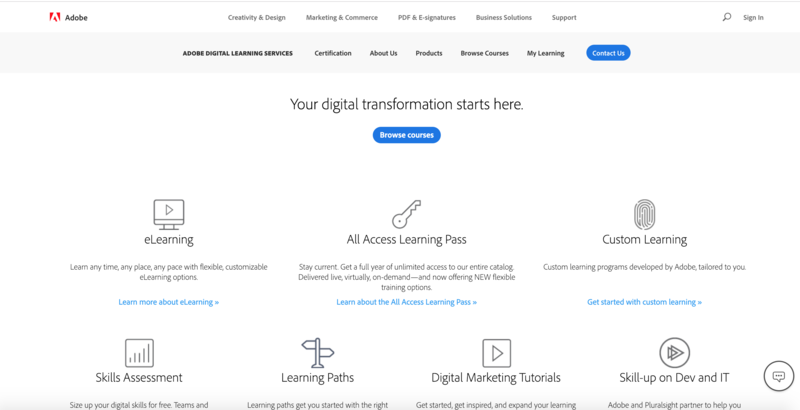 The Adobe Training hub connects you with eLearning, in-person training and workshops, and national events to give you essential information about the suite. 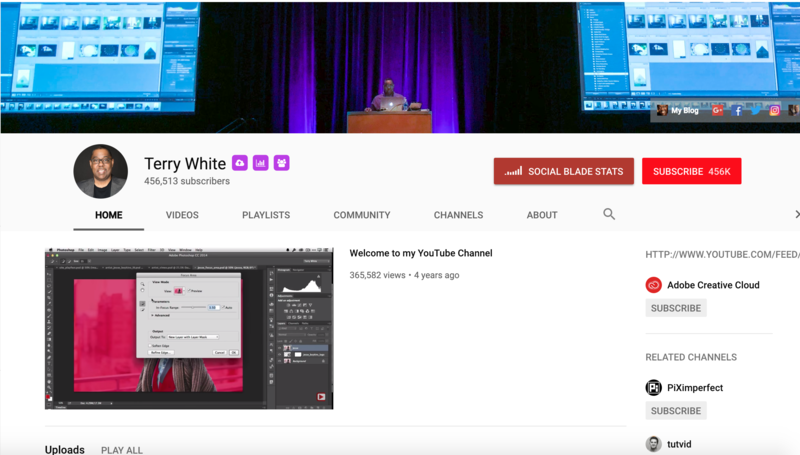 Terry White is a tech reviewer and Adobe Creative Cloud evangelist. On his channel, find the “Creative Cloud Learning Center,” a playlist of high-quality tutorial videos on Photoshop CC, Illustrator CC, Adobe Dimension, Lightroom, and many more. Terry offers helpful Q&As and insider tips on using resources like Adobe Stock in a down-to-earth tone that his subscribers (and live event trainees) all love. 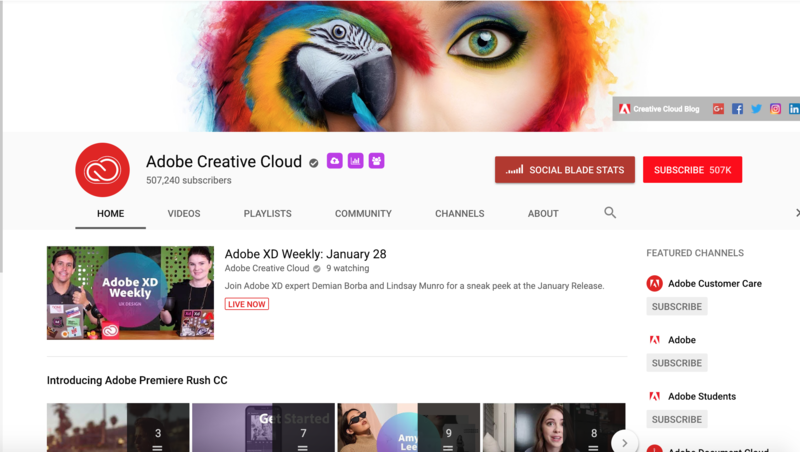 Adobe has a YouTube channel for the visual learners out there, and with around a half a million subscribers, it’s the place to be for all things CC. Use their “Getting Started” series for an overview of the apps. Once you have a working knowledge of the big-picture stuff, find project-specific tutorial videos in the “Make it Now” section or dream up new ideas with the “Inspiration” section. This is also a good channel to subscribe to for news and updates on the Adobe software suite. 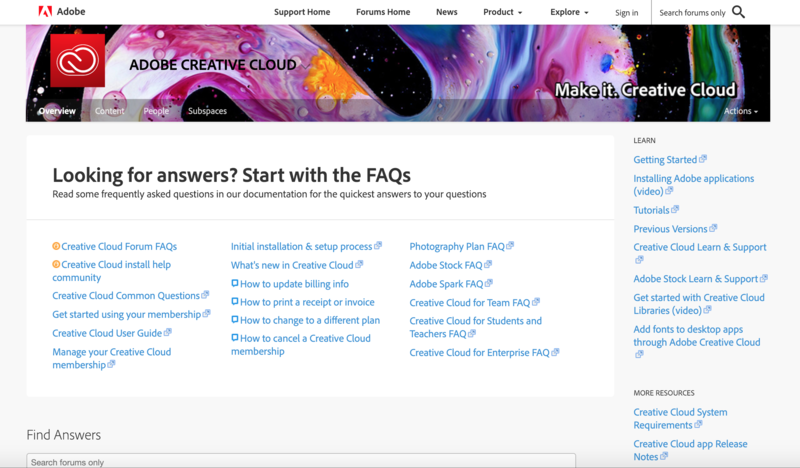 The Adobe CC forums are useful for new users who have specific or granular questions about any of the creative cloud apps. Search the forums for answers and contribute your own content as you become more adept at using the software. 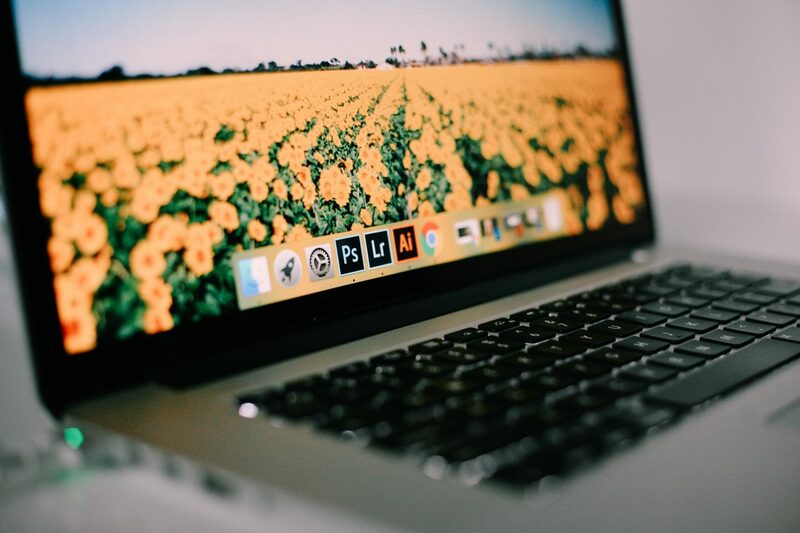 This is a seven-course program that covers Photoshop, Illustrator, InDesign, Flash & Animate, After Effects, Premiere Pro, and Introduction to Animation. With thousands of positive reviews and over 17,000 people enrolled, it’s a popular introductory course to these key apps and services. 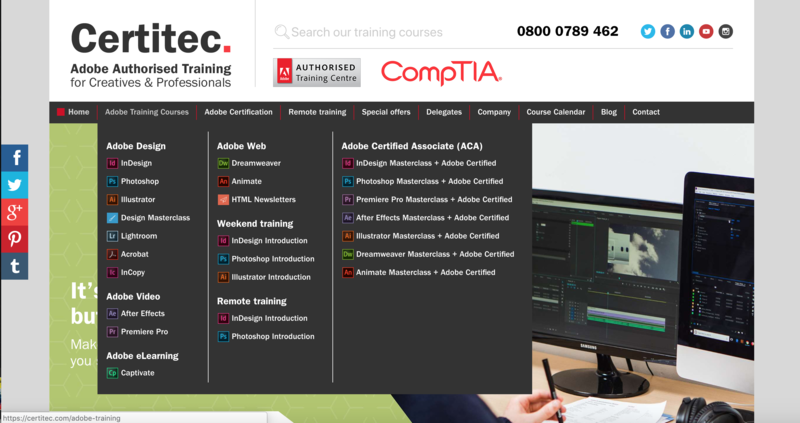 Certitec is a UK-based training center for Adobe Creative Cloud. Although they do offer in-person instruction, stateside residents can find in-depth training courses in every app — and even obtain an Adobe certification. Certitec’s CC training programs are ideal for larger organizations, so this might be worth a mention if you’re learning Creative Cloud for an employer. 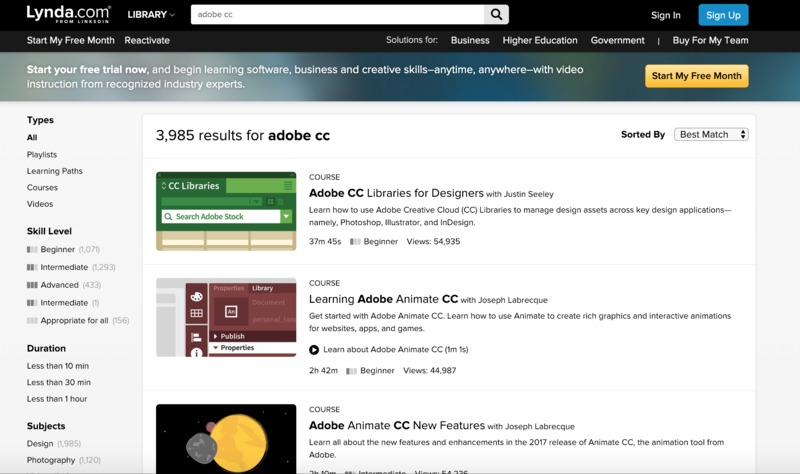 Lynda.com has tutorials for a wide range — and has no shortage of Adobe CC lessons. Find a curated playlist of Adobe CC lessons here, or choose an individual course based on your interests. 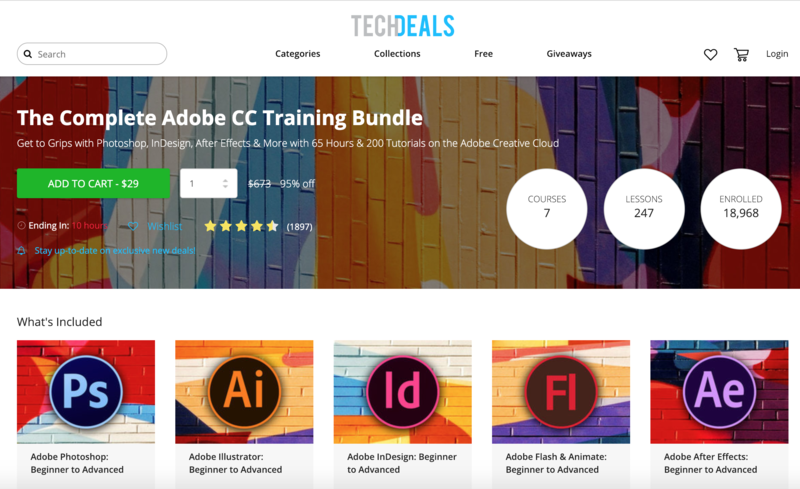 For beginners, “Learning the Adobe Creative Cloud” by Chad Chelius has been viewed thousands of times and gives you a comprehensive overview of the suite’s capabilities before you even start designing. Adobe offers online tutorials that give you the ability to sort tutorial content by “beginner” or “experienced,” giving you an overview of their apps and tips for specific types of projects. 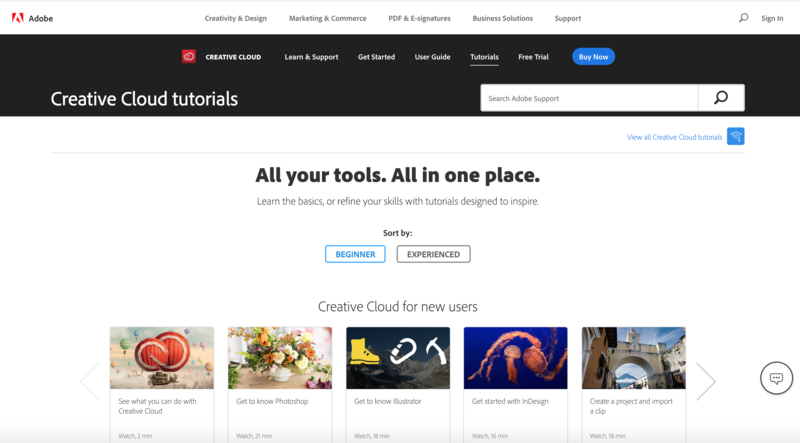 If you’re more of a hands-on learner, Adobe Creative Cloud offers tutorials within the desktop and mobile apps to help you get a feel for the software and how to get the most out of specific features as you use them. 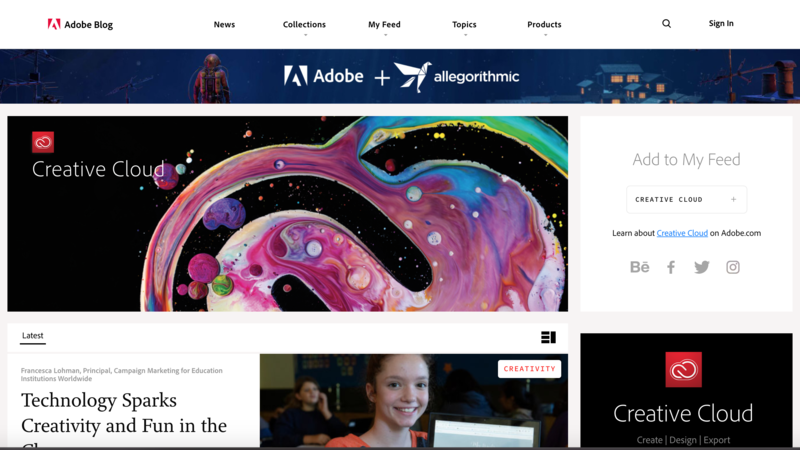 The Adobe blog serves up fresh content surrounding the Creative Cloud, for beginners and experts alike. Follow just the topics or apps you’re interested in, to get a customized feed. Subscribe to the blog to keep you informed and inspired as you grow from Adobe rookie to pro. 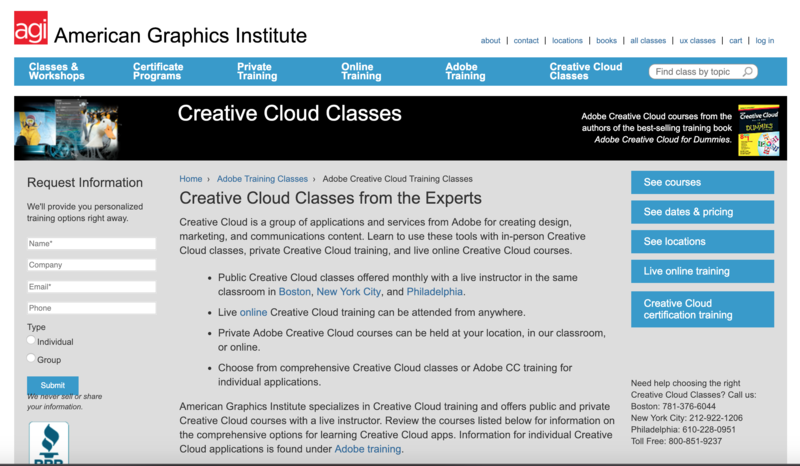 AGI offers Creative Cloud classes in Boston, New York City, and Philadelphia. However, you can also access their trainings virtually from anywhere in the world. Find classes on video editing, print design, and comprehensive training for all CC programs.